Petroleum is an academic quarterly journal about petroleum geology and petroleum engineering sponsored by Southwest Petroleum University, China. Petroleum aims to strengthen the international communication of petroleum science and technology and give great impetus to the scientific and technological development of petroleum exploration and production. The journal publishes original research papers in English on all aspects of exploration and development of oil and gas fields. 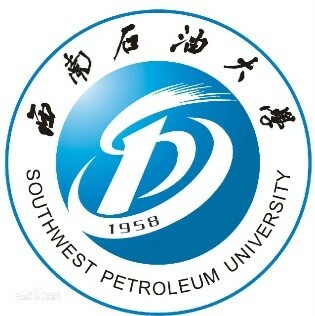 Southwest Petroleum University (SWPU) is mainly located in Chengdu City, the capital city of Sichuan province. Founded in 1958, SWPU was originally named Sichuan Petroleum Institute. It was renamed Southwest Petroleum Institute (SWPI) in 1970. Achieving university status in 2005, it became Southwest Petroleum University (SWPU). Originally SWPU was supported and administered by the Ministry of Petroleum Industry and the China National Petroleum Corporation (CNPC). Since 2000 the university has been supported and administered by both Sichuan Province and CNPC. The university is composed of 18 schools and departments that together offer 60 bachelor’s degree programs. SWPU is among the first universities in China authorized to confer bachelor’s, master’s and doctoral degrees. It has one provincial-level graduate school offering three post-doctoral research programs. SWPU has 23 doctor’s degree programs, 85 master’s degree programs, and one key discipline program in oil and gas engineering. At the provincial and ministerial level, it has seven key laboratories and 25 research and technical centers, including a center for well-completion techniques built with the assistance of the United Nations. In addition, it has the Sino-Canadian Training Center for Natural Gas Exploration and Exploitation built with the support of the Canadian government. At the national level, it has one Key Laboratory of Oil and Gas Reservoir Geology and Exploitation (SWPU) in which three key disciplines are pursued. Under auspices of the Ministry of Education, SWPU owns an oil and gas equipment key laboratory, the Natural Gas Exploitation Engineering Research Center, and the Oil Field Petrochemical Engineering Research Center. At the university two extensive libraries are available to offer a collection of about 2.64 million bound volumes. SWPU has received several prestigious awards. In 2001, it obtained a grade of excellence on the Undergraduate Students Teaching Level Evaluation conducted by the Ministry of Education; 25 universities were included in the evaluation. The petroleum and natural gas engineering discipline at SWPU ranked first on the 2002-2004 National Specialty Evaluation List issued by the Ministry of Education. In 2005 the State Key Laboratory of Oil and Gas Reservoir Geology and Exploitation (SWPU) passed the evaluation of the Ministry of Science and Technology. In October 2007, the postdoctoral research program of petroleum and natural gas engineering was recognized as the National Excellent Postdoctoral Research Program, the only non-key university in the country to be so honored by the Ministry of Personnel Affairs and the National Postdoctoral Administration Committee of China. SWPU has been involved in over 6,121 scientific programs since 2001 and has obtained 783 million RMB in scientific funding, winning 95 provincial or ministerial prizes. 495 patents have been approved,of which 184 are invented patents . SWPU has had numerous works and thousands of papers published, over 750 of which have been indexed by EI, SCI and ISTP. SWPU’s work in advanced technology has been applied at home and abroad to receive outstanding social and economic benefits. This revered university has established worldwide co-operative relationships with various universities and research institutions in the United States, Great Britain, Japan, France, Germany, Canada, Russia and India. Recently published articles from Petroleum. Find out more about Prof. Wilson's Petroleum Paper. Find out which articles received the most citations in 2016. We are now accepting papers for our special issue on applied multiphase flow.